A grand open foyer welcomes you to this impeccably maintained and beautifully upgraded first floor coach home. Volume ceilings highlighted by crown molding flow throughout this spacious floor plan with phenomenal outdoor views that flood the space from oversized windows and doors throughout. 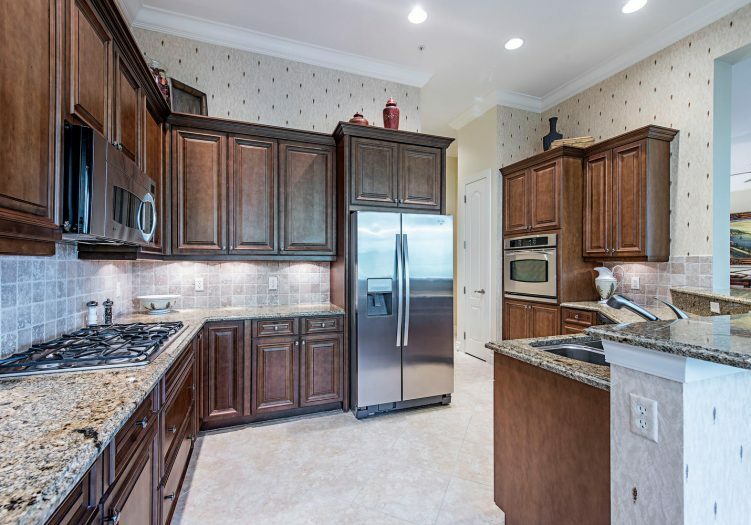 Entertaining is effortless in the gourmet kitchen with a gas stovetop, abundant rich wood storage cabinetry, upgraded appliances and two distinct dining areas in the casual breakfast nook and elegant formal dining room. 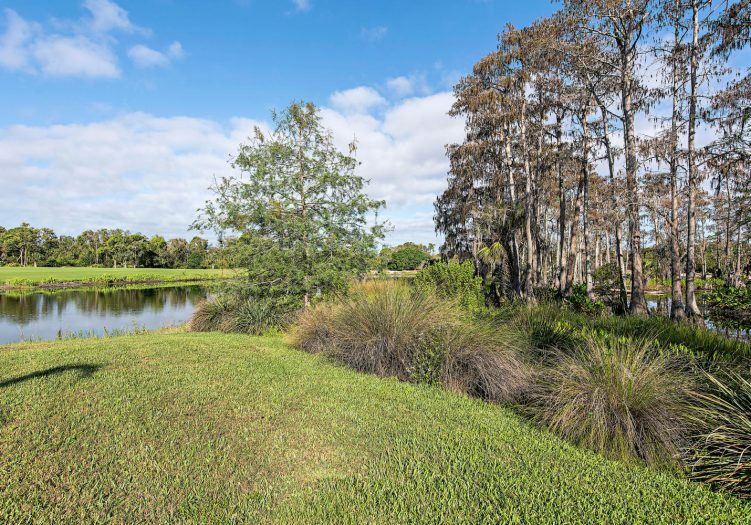 The master suite is a relaxing retreat featuring direct outdoor access to the screened lanai and lush preserve views through expansive picture windows. 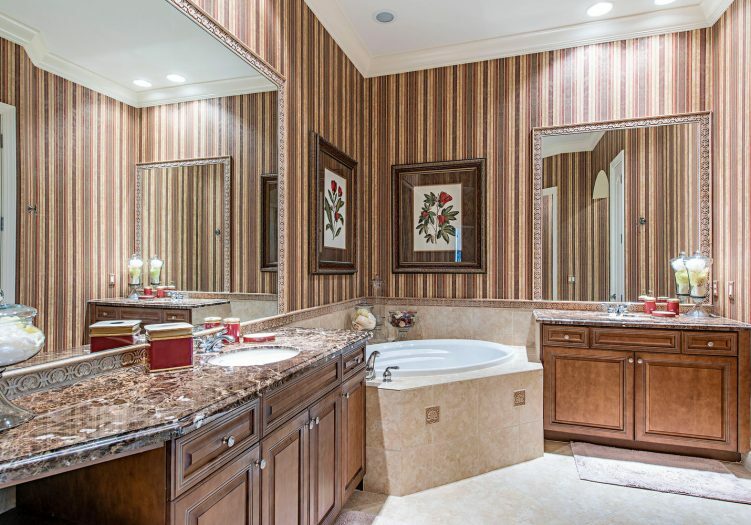 Marble topped his and hers vanities, a large soaking tub and walk in shower are found in the master bathroom. The handsome den serves as a perfect work space or intimate gathering area just off the main living area. 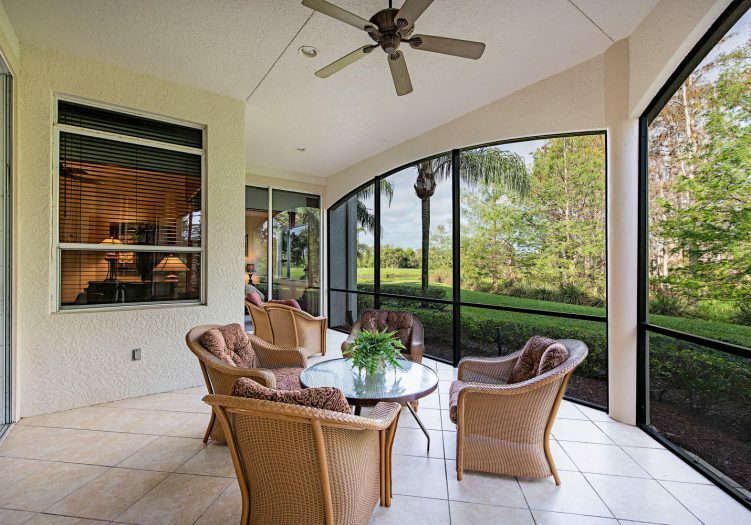 Enjoy tropical paradise from the spacious screened lanai boasting tranquil views of the lush preserve and professionally manicured landscaping.